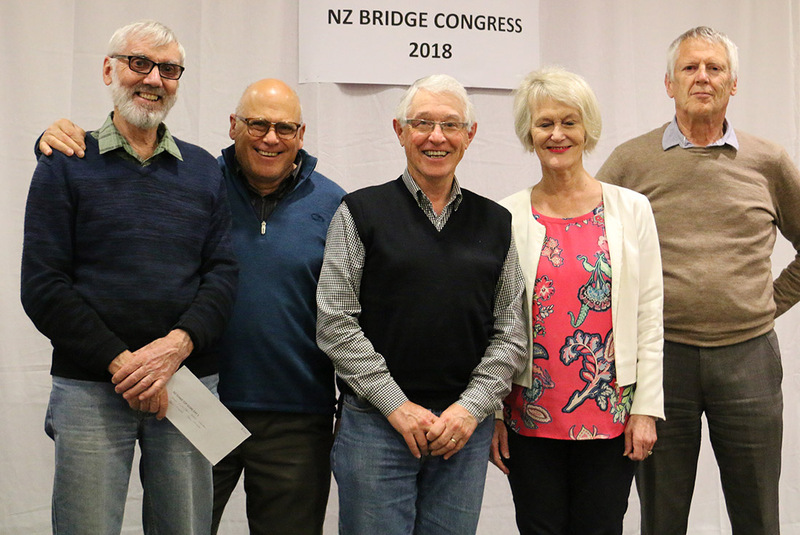 The annual Bridge Congress in Hamilton took place last week, and although there were not a lot of Rotorua players taking part, those that were there had some notable success. 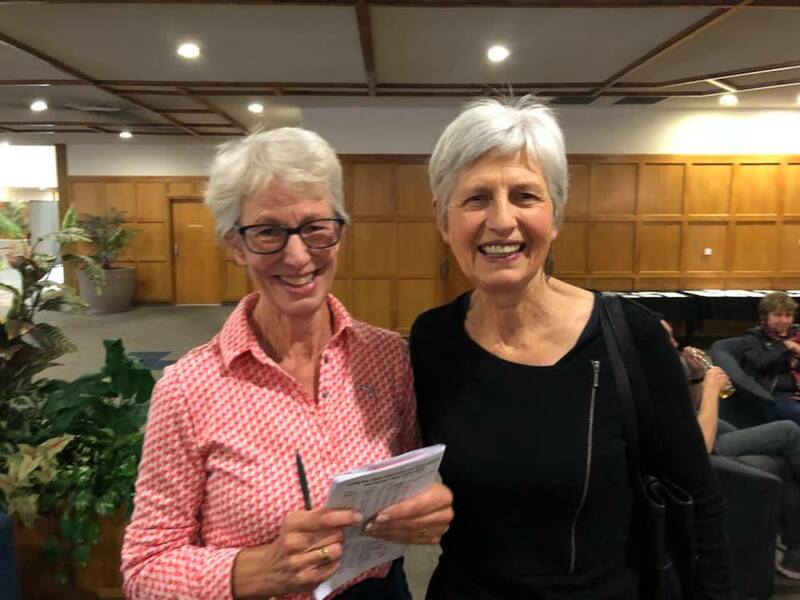 Marie Milsum teamed up with her former long-time partner at Rotorua, Alison Beer, and they showed that they are still a force to be reckoned with, winning the Open Swiss Pairs. Alison and Marie, winners of the Open Swiss pairs. Pam and Ian Moore had a very successful Congress, being runners-up in the Senior Teams, and coming fourth in the Senior Pairs. They also won a special award as they for best team on Day One that did not qualify for the final of the Open teams. And Liz and Michael Wilcox were fourth from a large field in the Open Restricted Pairs. Well done to all who played in the Congress. Ian and Pam Moore, along with team members Noel Woodhall and Ian Clayton, and Allan Morris chairman of NZ Bridge second from left, receiving their prize for being the top team on Day One of NZ Open teams who did not qualify for Round of 16. They were 3rd overall on Day One.